Well it is May 1. I am so happy to see the backside of April. We still have piles of snow in our yard, small piles but nevertheless. 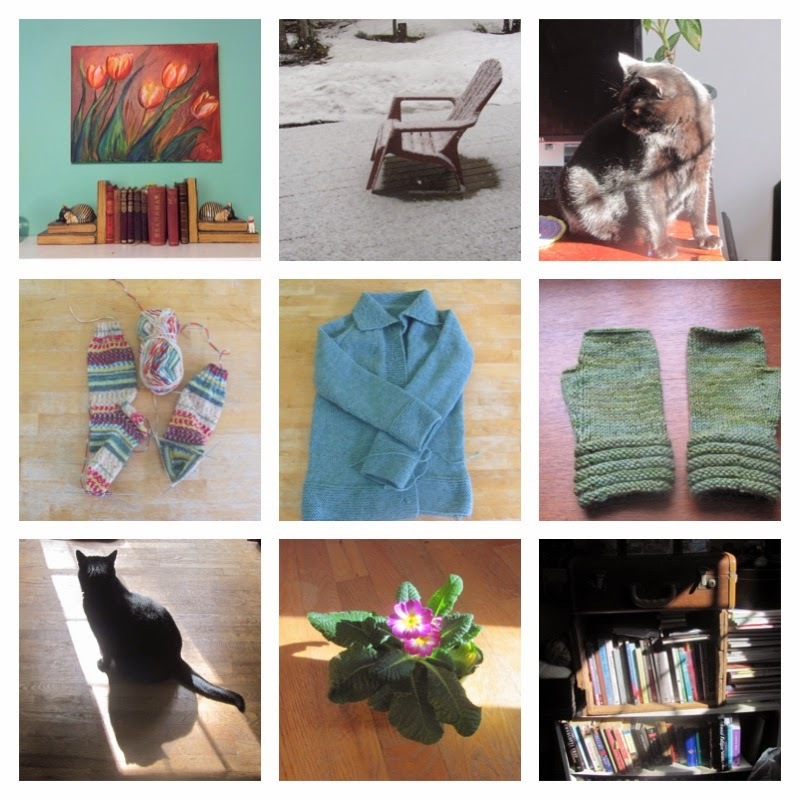 There was not a huge amount of knitting in April. It was a very busy month for us. Mostly I was finishing The Barn sweater and one pair of socks. Also I was following the sun. Have a great day people and may your day be sunny and warm.